Írta: Káli-Rozmis Károly 2017. 04. 30. 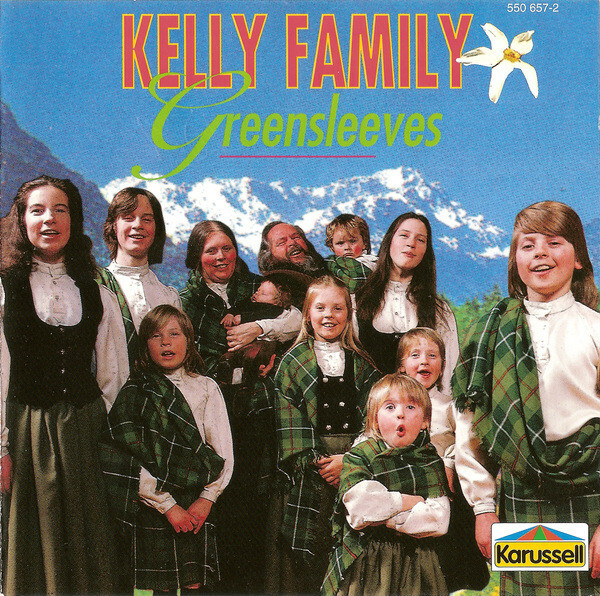 The Kelly Family was one of the household names in the pop rock era of Europe in the 1990s. However, their story starts much earlier; they started playing music and performing together in the early seventies. They were called ’the travelling musical family’ and soon scored a hit ’Who’ll Come with Me’ in 1980. After the death of Mama Kelly in late 1982 they did not stop, instead they kept on singing and became more and more professional. During the early nineties their music started to change and they moved towards to the contemporary sound. The children folk singers slowly turned into more and more professional pop rock artists. Although they started to build a huge fanbase in Germany and the Benelux countries from the late 1980s, their huge breakthrough came when the song ’An Angel’, written as a elegy to their mother, became an instant hit all over Europe. Since then their life has changed; newspapers started to write about them, putting their hippy look and lifestyle to the centre; The lives of Kathy, Patricia, Barby, Maite, John, Jimmy, Joey, Paddy and Angelo have changed. 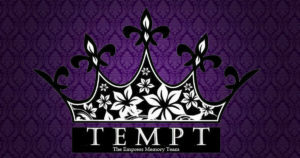 If we want to judge the reputation of the band, it is hard because the false image published in teenager papers showed the untrue side of the band. Nevertheless, the band is much more than people got to know from the media. However, if we give them another chance and listen to songs, for example, ’Another World’, ’The Wolf’, ’She’s Crazy’, ’You Belong to Me’ and ’Thunder’, our opinion will change. Their music can be called folk rock, however, the many other musical ways can be found like elements of hard rock, Spanish flamenco music and Opera. During their golden period they were able to sell millions of records and embark full-house tours in Europe. Moreover, many awards were given to them and they appeared on stage with several important acts like Luciano Pavarotti, Aerosmith and José Carréras. 2000 was the year when the ’classical’ line-up split up and six members went on and record three albums, the last of them ’Hope’ was released in 2005. Although the later years of the decade was the right time for starting solo careers, there were several special occasions when some members joined forces and performed together. The big comeback was announced at the end of last year and since then six of the original members have come together to revive the band. As surprise, they released a brand new album,’We Got Love’ in March 2017. In order to capture the instant success of the reunion I talked to Kathy Kelly, who was in the band till 2000 and now she is back. Not only is the dark-haired ‘grand dame’ one of the key voices and songwriters of the siblings, but also she was the main arranger and producer of the records until 2000. After that she went solo and recorded some albums on her own, toured in Europe and dived into deeper in folk, rock and classical music as well. The reunion was rumoured many times for years, but nothing came into reality until now. How did it happen? Yes, our comeback has been a rumour for several times, but nothing has happened since last year. However, we have been talking about it for a long time, but several people weren’t ready for it due to solo careers and personal things. Last November everybody said ’yes’ so we went ahead. We announced the concerts in Dortmund Westfalenhalle for May 2017. The venue is special for us because it was the first stadium which was sold out for the first time in our career and therefore, it helped us to take a huge step towards. I remember reading it and as soon as you said that you were ready, the world went crazy. Did you start thinking about the new album before it or after? After it, of course. We were talking about a new album, however, the deadline was too tight to come up with a brand new album. Obviously, our aim was to collect the songs which is important for both the fans and us. Due to the lack of time we came up with five new songs; Patricia wrote ’Brothers and Sisters’ which can be called as a signature song as well as the Angelo-penned ’Keep on Singing’. The title track can be mentioned and it was composed by Jimmy and was released on his album several years ago. ’Miracles’ can also be a familiar one, it was written by Norbert Peticzky, from Prague and we did perform it together as a duet last year. and made it to the very high position in the radio Charts in CZ. On the record I sing it with John. We started the studio process in February and the sessions were intense but full with happiness, nostalgia and fun. We finished the album by the end of the month, so everything happened so fast. You could hear that, too? Yes, It was very emotional and we were – and still are - happy to sing together and the magic which came out of our voices, I mean recording the choruses and the joint vocals were also captivating. Besides, it was also a magical moment when Barby recorded her solo lines. You have been arranging the songs for long years in the golden era and this record is more solid and organic in many ways. How did you choose the right arranging way in the studio? I think ’We Got Love’ is one of our very best albums. The various emotions, which we felt during the recording process, was fantastic. I think every member put his or her individual approach and experience that they gain during the solo years. Therefore, these new musical ways have given new shapes to the songs. In some songs we changed the keys and the structure, ’First Time’ would be a nice example. If you are older, your voice changes, so with its help new dimensions can be found. The process was much more different than before; our voices were unified in a different way and it gave new approaches to the songs. I think the result stands for itself well. Although several of you worked together in the past, but now it was special. Everybody wanted to do something together and I think it is the right time for the reunion. I have worked with Paul a lot and Patricia as well as well as other Kellys in the past years. It is very great to know that Johnny is back after seventeen years. Jimmy has great voice, too, and his contribution also added many interesting ideas to the songs. As you know, we, the olders, are together with our youngster, Angelo. Last but not least, Barby is back as a guest in several songs. Her presence was very special because it was long time ago when she sang with us in the studio. Her lead vocals in ’Baby Smile’ and her solo spots on ’Stand by Me’ and ’Good Neighbor’ added a special magic to the songs. When ’We Got Love’ was released, it became an instant hit in many countries. It was a nice surprise for us, we haven’t expect so much success! Imagine, you have just made a good record and it goes instantly to the top of the hitlists of some countries! This is something! Your duet with John, ’Miracle’ is written by a friend who is also a fan. How did you get in touch with Norbert? If we are back to the songs, it can be said that ’Miracles’ is one of the highlights on the CD. I was given it by a friend, Norbert Peticzky, who is a singer-songwriter in the Czech Republic. He composed the track thinking about us and he asked if I sang it. Although I didn’t know him, I fell in love with the song and said ’Yes, Let’s make it!’. The meaning of the song is also special to us, because he dedicated it to Barby. When we recorded it, it became a radio hit in the country. When we started to work on our record, I thought it would be a nice inclusion on the album. What are your favourites on the CD? To tell the truth, it is a hard question because I love many songs on the record. However, I would pick our cover of ’Stand by Me’ because it is a funny and happy one, and Barby has her solo parts on it. Of course, I also love ’Miracles’ as well. You started your solo career in 1999 with a compilation album and quit the band for pursue an individual road. How did you see your solo years which is still going on? First of all, I think since I started my road as an individual artist, I have developed a lot in personal and musical ways as well. I have met new territories which I haven’t done before and it gave me so much. I had to find my own way and independence in music. It also gave me freedom and self-confidence. However, it does not matter I should ignore my songs in the Kelly Family era. For me, they are like milestones, little mosaic pieces which works well with the songs of the others. Nevertheless, if you are a solo artist, things are different. For me it was and it is the big opportunity to immerse deeper into different worlds like folk, pop music, classical and gospel. I like playing with styles, so if you come to my concert, many different styles can be heard. I am happy that the band is together and I have my solo way in parallel with each other. What is your favourite numbers of the band era? It is a very difficult question, because there are plenty of them, to name a few, ’Fell in Love with an Alien’ and ’I Can’t Help Myself ’should be the ones. From my solo numbers ’I will Always Love You’ and ’Morning of My Life’ can be mentioned. Talking about your fans many of them have stayed with us during the silent and individual period and they are cheerful that you are back and going on tour soon. I think we are grateful for them because, as you mentioned, they have been with us in good and bad times. Although there were several strange cases, screams, pushy fans, but overall, I think it was a nice period. Fortunately, there are many who are kind and polite and they give us much love and attention. They come wherever we are and their support is precious for us. I know that they deserve our attention as well. I know that meeting after concerts, signing their stuff and chatting with them for a while are crucial for them. The generation who loved us has changed in many ways, they have become wiser and the craziness is gone. Although your new album still hasn't been released in Hungary, it is said that it will be available soon due to the huge interest. 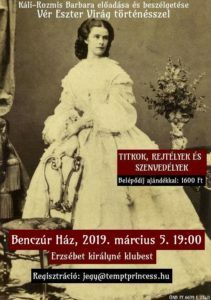 Are you planning a concert in Budapest in the future? It is important for us to know, thank you. We are arranging more concert dates for the 2018 tour, but you should know that we would like to visit Hungary happily, but I can’t tell more details about it. Maybe you should help us to come to your country (laughs). We will do what we can for it. Back to the tours, you have travelled a lot from country to country to bring your music to the people. You were also called an ’International cross-Irish-American band who are more cosmopolitan, However, everybody needs a home. What is the country which you call home? For me it is Ireland. As you know the ancestors from my father’s side were emigrants from Ireland and they went to America. I like Ireland very much because our roots are there and countryside are beautiful as well as the people. I can be myself on my own there. Besides I spend much time in Germany which is also great that most of my siblings live there and I have a career there, too. But you know it.